This year has seen a record 176 entries from 26 countries, which reflects the competition’s growing international reputation. Live auditions were held in Japan, China, the USA, Italy and the UK. Contestants could also enter by submitting a video. 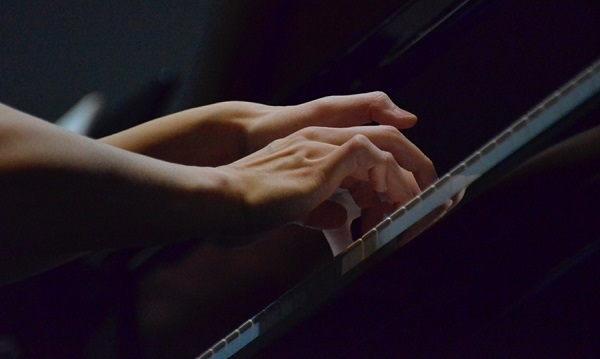 Forty nine young pianists – they have to be aged between 16 and 30 – were then invited to come and play live in Hastings. This year’s event will start at the White Rock Theatre on Thursday 21 February and culminate in a two-evening final on 1 and 2 March, when the six finalists – three each evening – will play one of their chosen concertos with the Royal Philharmonic Orchestra. The winner will receive a cash prize of £15,000 and the opportunity to play two concertos with the RPO, one at Cadogan Hall, the orchestra’s London home, and one at a regional location. He or she will also be offered a concert in the United States as well as other local and national engagements. In late January it was announced at a reception in the House of Commons hosted by Hastings and Rye MP Amber Rudd that the RPO, recognised as one of the finest orchestras in the world, has signed a new partnership agreement with HIPCC. The agreement confirms the RPO as the competition’s resident orchestra from 2019 onwards. 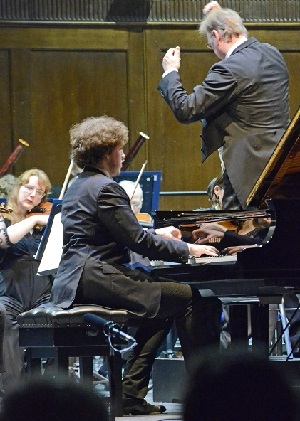 Last year’s winner, Roman Kosyakov, with the RPO. After this year’s event, the competition will become biennial. At the House of Commons reception, HIPCC chief executive Helen Winning said that in non-competition years, the RPO will play in Hastings as part of a new Festival of Piano. “We will also work together on complementary community and education initiatives and develop shared marketing and audience development strategies,” she added. Stage 1 of this year’s competition will run from Thursday 21 to Saturday 24 February. Contestants will play excerpts from the concerto they have chosen from a list of 15 put together by the artistic director. The orchestral part for this and the next stage will be played by accompanists. Up to 24 contestants will then go through to Stage 2, on 25 and 26 February, when they will play 35 minutes from a concerto chosen from a separate list of 10. Both early stages will feature several sessions a day. Tickets are £5 per session or £15 for a whole day. Children under 16 accompanied by a paying adult will be able to attend Stage 1 and 2 sessions for free. Schools can also send groups to these stages for free. They can book by emailing this address. A maximum of 12 contestants will then go through to the semi-finals on Wednesday 27 February, when they will play a short piece from a compulsory list of classical composers. The rest of their 35-minute recital will be music of their own choice, which will lead to tremendously varied programmes. Tickets for the whole day are £20. The six semi-finalists who do not make it through to the final will take part in a series of masterclasses with members of the international jury to be held over two sessions on the afternoon of Thursday 28 February. The audience will sit alongside them on the stage of the White Rock Theatre, which will offer a real insight into what it feels like to compete at this level. For these sessions too, under-16s accompanied by a paying adult are offered free entry. There will also be a limited number of free tickets for people aged between 16 and 25. Otherwise tickets are £10 per session or £15 for both sessions. The grand final will take place on Friday 1 and Saturday 2 March, when the six finalists – three each night – will play the whole of one of their chosen concertos with the RPO, conducted this year by Rory Macdonald. Tickets for the final will be £15, £20 or £27.50. All stages of the competition will take place at the White Rock Theatre and will be open to the public. Tickets are now on sale from the White Rock box office (01424 462288) or online. For further information please go to the HIPCC website.